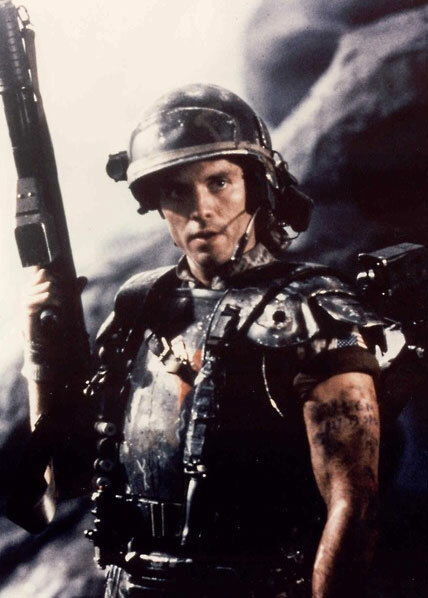 Corporal Hicks was a soft spoken and quiet member of the squad sent to LV-426, who could be counted on to be level headed and extremely capable when the situation demanded it. After the first alien attack and the taking of Sergent Apone, he assumed command of the squad. He had an immediate bond with Ripley as both of them saw eye to eye on the need for pragmatism in the face of the alien threat. During the final escape from the planet Hicks is burned by acid and needs to be heavily sedated. He survives the encounter on LV-426 in an unconscious state. Depending on what you consider Canon, Hicks was either killed in the events leading into Alien 3, or else survived in off screen events in the video game Colonial Marines.